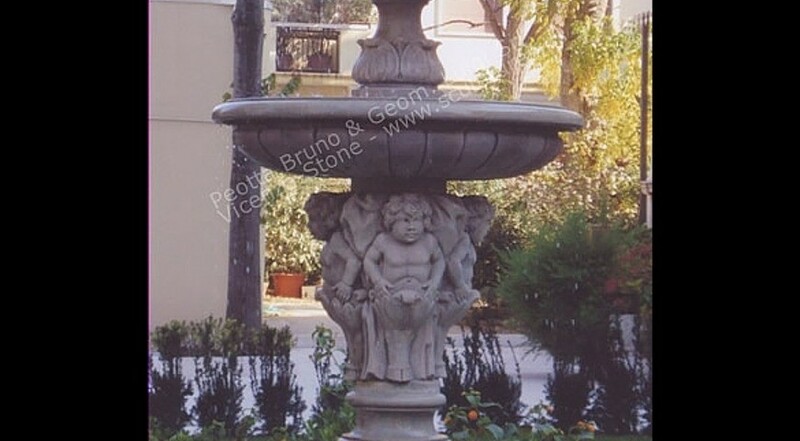 A large decorated 3 tiers fountain. Large bugna bowl supported from 4 fauns sculpture, little bases with acanthus leaves, all the bowls ( large,medium and small ) have bugne design style. On the top finial a large fruit basket drilled for water. Originally in a antique Hotel in Venice area. The Fountain have a large four-leaf clover coping around. Italian style - Venice.